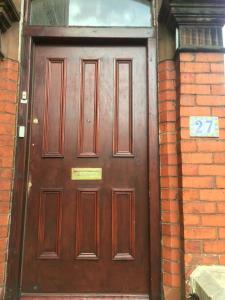 Situated opposite the Albert Dock, 30 James Street overlooks the Three Graces, which comprises of the Royal Liver, the Cunard, and the Port of Liverpo.. 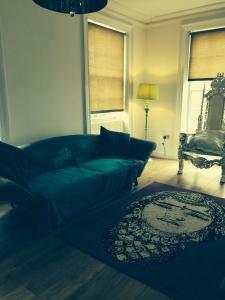 Located 200 metres from Royal Court Theatre, Richmond Apartment offers accommodation in Liverpool. 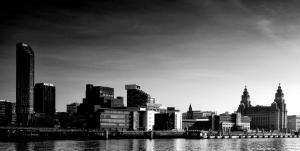 The apartment is 600 metres from Liverpool ONE. Fre.. In the heart of Liverpool, a 10-minute walk from the Albert Dock and just 3 miles from Anfield Football Stadium, these serviced apartments have modern..
My Student Village: Liverpool offers accommodation just a 10-minute walk from Lime Street Railway Station. 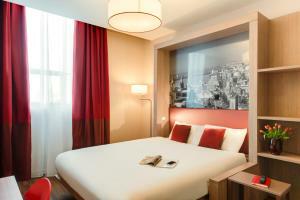 Royal Court Theatre is 1 km from the proper..
Royal Chambers Liverpool offers simple and functional rooms with free Wi-Fi in Liverpool City Centre. 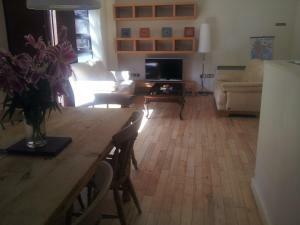 The property is just 5 minutes’ walk from Live.. 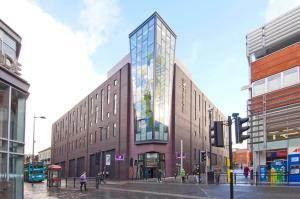 Situated in Liverpool city centre, Liverpool One Premier Inn is within half a mile radius from Liverpool ONE shopping centre, Lime Street train statio.. 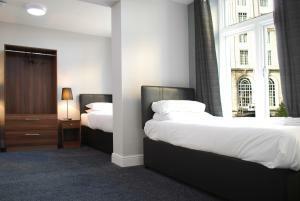 The Liverpool Inn Hotel is a small family-owned hotel, offering city centre accommodation with a bar and free WiFi. The hotel is a 2-minute walk from ..
Less than 3 miles from the centre of Liverpool, 10 minutes’ drive from Albert Dock, Castle Lodge Guest House has free Wi-Fi and free CCTV monitored .. Located in the popular L1 district of Liverpool city centre, Epic Serviced Apartments offer luxury, elegant apartments with free WiFi and direct acces.. 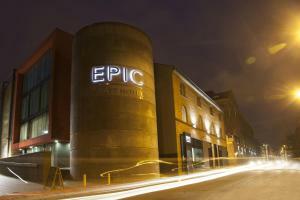 Located in the heart of Liverpool city centre, Epic Apart Hotel offers furnished apartments with free Wi-Fi, just a 10-minute walk from Liverpool Cent.. Located in Liverpool, this apartment features free WiFi. 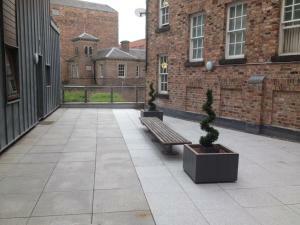 The property features views of the garden and is 300 metres from Liverpool ONE. 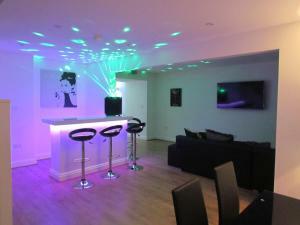 The kitchen ..
Campbell Square Apartment 3 offers accommodation in Liverpool. 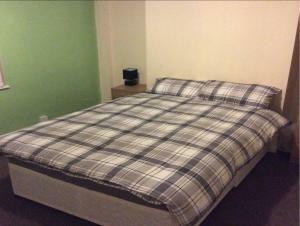 The unit is 200 metres from Liverpool ONE. Free WiFi is available throughout the proper.. Located in Liverpool city centre, just 9 minutes' stroll from Albert Dock, Apartment Campbell Square is a self-catering apartment that features free W.. 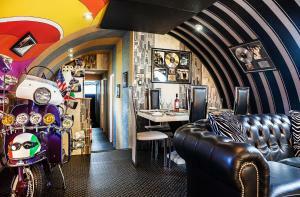 This Beatles & 1960’s Mod culture themed houseboat is situated in Liverpool’s famous Albert Dock. The Yellow Sub has heated flooring, and its styl.. In the heart of Liverpool’s Albert Dock, this apartment boat has been designed to resemble the Titanic. 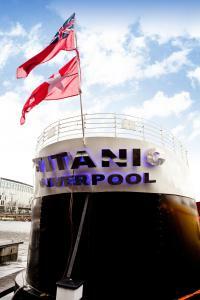 Guests at Titanic Boat can enjoy a 52-inch ..
Ware Duke Street Apartments offers accommodation in Liverpool. 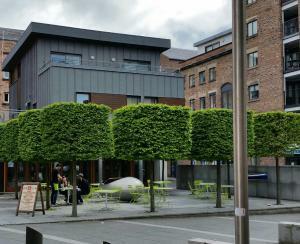 Liverpool ONE is 400 metres away. Free WiFi is available . All units include a flat-sc..